Rheilffordd Llyn Tegid (Bala Lake Railway) is head quartered at Llanuwchllyn, at the South-Western end of Llyn Tegid/Bala Lake and is the best place to start your trip. The railway runs along the Southern shoreline of Bala Lake (Llyn Tegid) in North Wales. Llanuwchllyn station is just off the A494 at the South-Western end of the lake. Ample free car parking is available within the station site. Turning and parking facilities for pre-booked coach parties can also be provided. Sat Nav users, please note the Google maps postcode does not lead to Llanuwchllyn station, please follow the B4403 through the village and look for the brown signs. 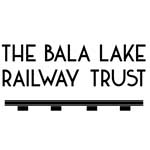 At Bala Station there is limited roadside car parking with large car parks in the town centre, half a mile away. There is a footpath all the way from Bala town centre to our station, following the lake shore and the route of our proposed extension. The station is accessed via a short gravel footpath from the B4403, look for a gate close to the road junction. Please note there are no toilets at Bala station. Sat Nav users, please note the Google Maps postcode doesn’t lead to the correct location, please use: LL23 7BS. Llangower station has a pay and display car park operated by the national park authority. The station is next to a popular beach, so the car park is frequently busy in good weather. Sat nav users please note, the google maps postcode does not lead to the station, please follow the B4403 and look for a public car park and picnic area at the southern end of the village. Trains also stop at Pentrepiod halt. This station is located next to a small layby on the B4403 between Llangower and Llanuwchllyn, it is primarily intended for walkers and campers. Trains only stop here on request.